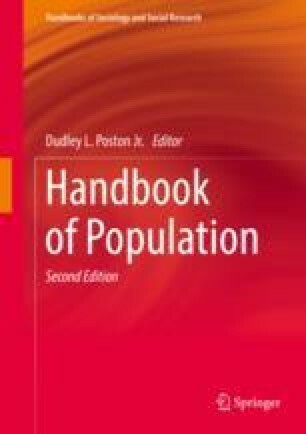 Biodemography is an emerging interdisciplinary science concerned with identifying a universal set of population principles, integrating biological concepts into demographic approaches, and bringing demographic methods to bear on population problems in different biological disciplines. Biodemography is an interdisciplinary science using theories from and analytical methods of classical (human) demography and population biology to study biological systems at individual, cohort, and population levels. The field may be compared to a tree with two main branches: (1) biomedical demography concerned with research directly related to human health, with an emphasis on health surveys; and (2) biological demography concerned with experimental methods using model organisms such as fruit flies; nematodes and laboratory rodents as well as research on aging in the wild. COMADRE. 2017. “COMADRE Animal matrix database.” http://www.compadre-db.org/Home/Index. Papadopoulos, N., J.R. Carey, C. Ioannou, H. Ji, H.-G. Müller, J.-L. Wang, S. Luckhart, and E. Lewis. 2016. “Seasonality of post-capture longevity in a medically-important mosquito (Culex pipiens).” Frontiers in Ecology and Evolution 4: 63 doi: https://doi.org/10.3389/fevo.20016.00063.